Not too long ago, I got the chance to try one of Maison Blanche’s new La Craie paint colors, Collette. 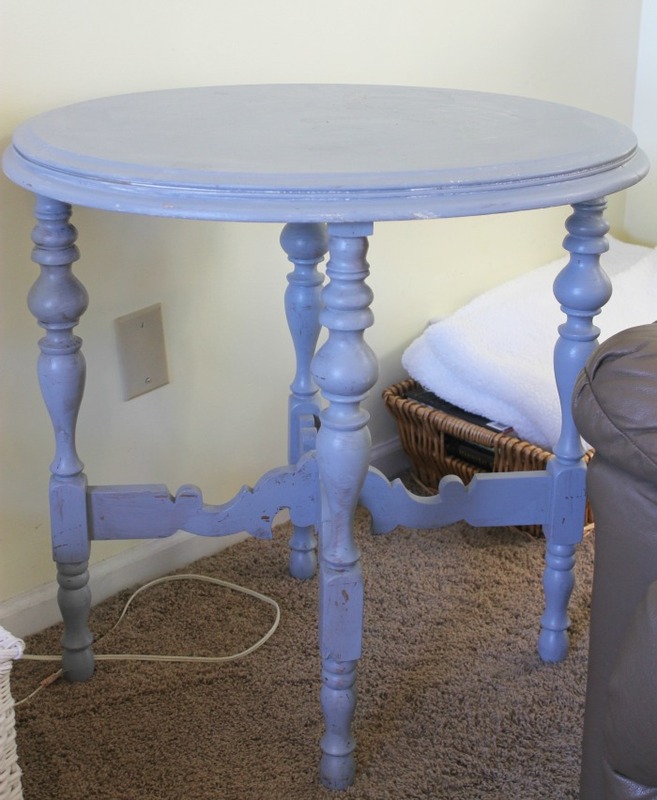 I love the color itself, and am using it on several projects around my home, but for this painted side table, I wanted something quite a bit lighter. I decided to mix the Collette with some Magnolia (Maison Blanche’s version of white). I simply mixed 1 cup of Collette and 1/2 cup of Magnolia and mixed them together in a glass dish and this is the color I got this beautiful light aqua shade. 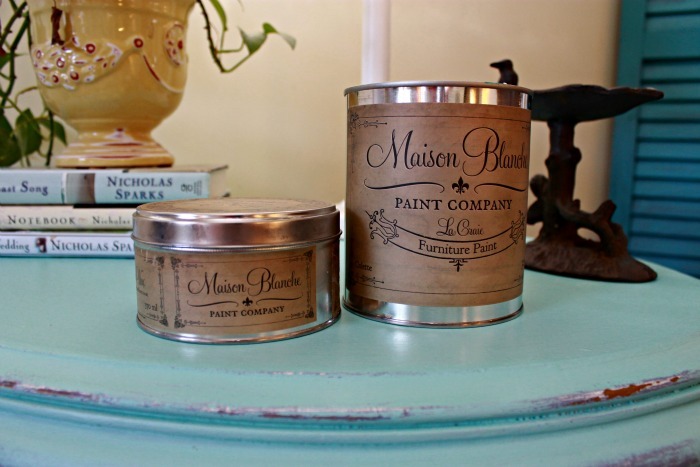 The wonderful thing about the Maison Blanche paints is that you can mix them to make different colors, and as long as you actually measure them, you can recreate the exact same color over and over again! This table had taken quite a beating over the years. 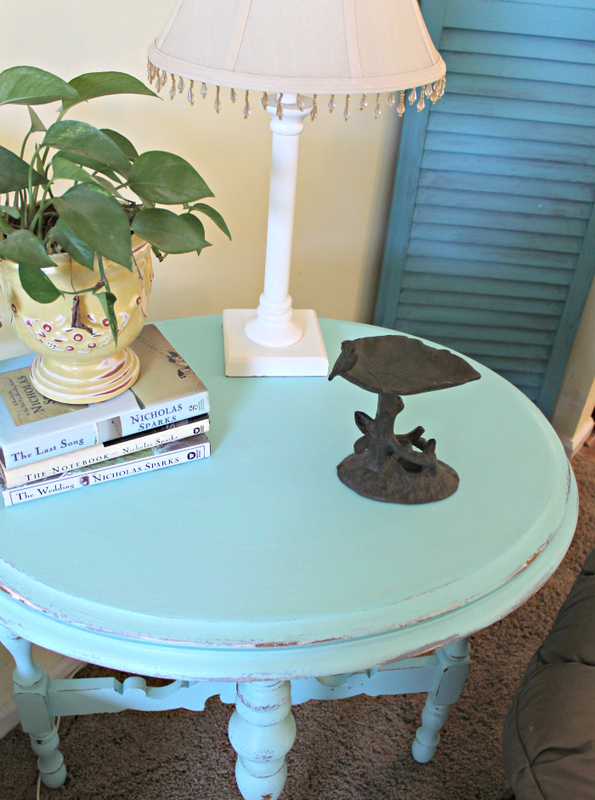 I had painted it a beachy blue that doesn’t really fit our decor anymore, so I was excited to give it a new look! I love the way it turned out! Just sweet and oh so aqua!!! 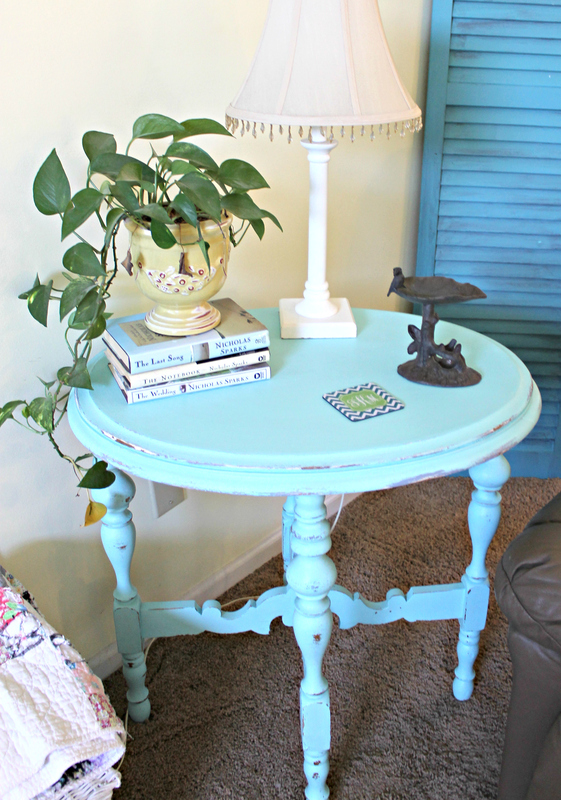 I also used the Collette (mixed with Magnolia 1/2 & 1/2) to paint a darling dropleaf table. I have to say, I am in love with both of them! They make the perfect pair in varying shades of Collette, don’t ya think? « Free Mother’s Day Printable – 6 Color Options! I love the the new color Jessica. So happy and what a great combo! Just beautiful Jessica…love the color…goes so great in the room! I love this table and the color is amazing. I would love for you to link this to my Inspire Me party that is ongoing. Love the table! 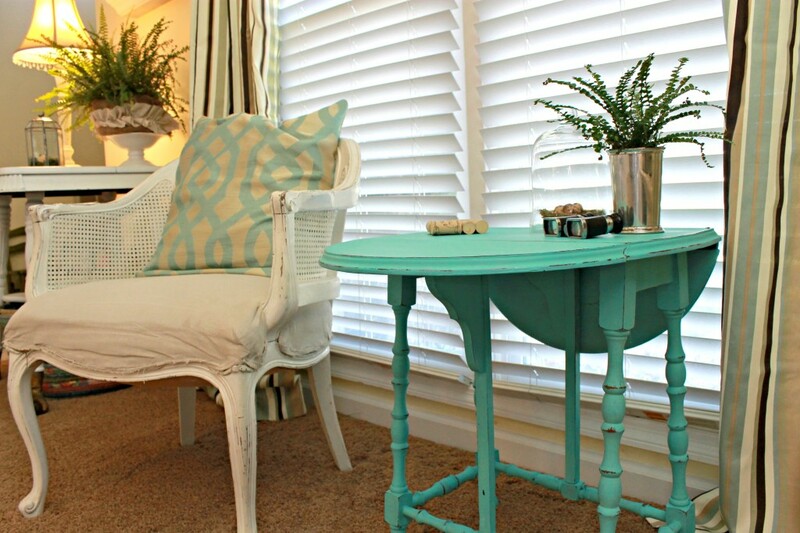 I love revamping old furniture and have a passion with aqua! I love to pair it with red, especially in my kitchen.